Welcome to The Fresh Formula! Happy New Year and welcome to The Fresh Formula! Since I committed to a plant-based diet around this time three years ago, I thought it only fitting that I launch my blog on New Year’s Day. Many of us find ourselves making resolutions to improve our lives, and those often include health and wellness goals. I never resolve to follow a weight-loss diet, regularly utilize an exclusive exercise program, or lose a certain number of pounds because I find that such goals often lead to temporary results where you are constantly playing catch-up with yourself. Instead, consider making a resolution this year that prompts you to change your lifestyle, and the rest – healthy eating, exercise, even weight loss – will fall into place. I remember years ago when the queen of talk, Oprah Winfrey, hosted the author of French Women Don’t Get Fat, Mireille Guiliano. Guiliano made a point that the French don’t have to spend hours and hours sweating at the gym because they incorporate exercise into daily life: taking the stairs instead of the elevator, walking to the store instead of driving, etc. I view plant-based eating similarly; it is a way of living…not a diet, a system for counting calories, or a strict exercise regime. In the beginning, plant-based living may be a challenge for you, but I can tell you from experience that it piques curiosity, sparks creativity, and of course, becomes easier and easier. Over the years, I have found myself genuinely interested in researching and experimenting with food, flavor, and nutrition, and have been proud of the results. So, what can you expect from this blog? Under About, you can read more about me, plant-based living, and my fresh formulas, and see new formulas and recipes popping up at least once a week under Recipes. Under The Formulas, I have amassed a small collection of formulas that are already tried and true in my kitchen. Each week, I will feature an existing or new formula and an accompanying sample recipe so that you can see what that particular formula looks like in action. 1 cup cooked quinoa –> I’m using white (despite being rather blasé in appearance, it is higher in nutritional content than rainbow). 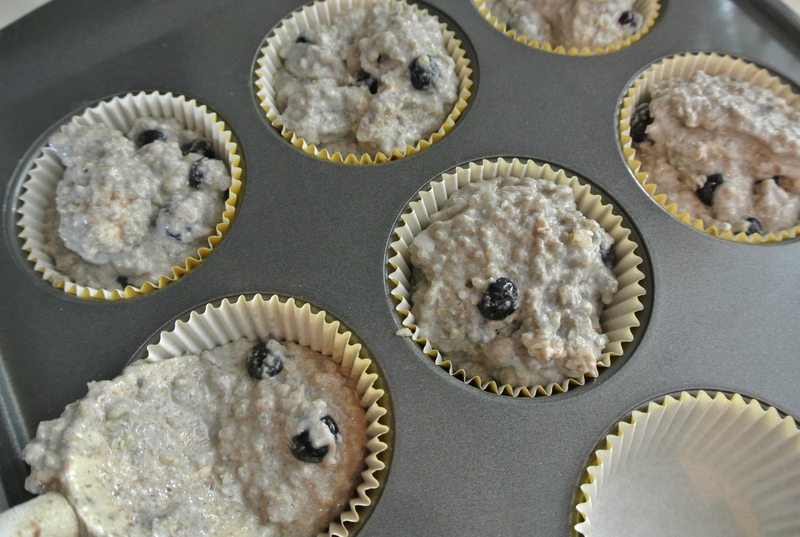 ¼ cup uncooked rolled oats –> I’m using an extra ¼ cup of quinoa instead, this particular go-around. 1/8 cup oil –> I’m using coconut, melted. 1 cup raw (fresh or frozen) fruit or veggie –> I’m using blueberries. ½-1 tsp extract –> I’m using ½ tsp of pure almond. ½-1 tsp spices –> I’m using 1 tsp cinnamon. ½ tsp salt (optional) à I’m opting out of salt, but adding it will definitely make your flavors pop even more. I highly recommend pink Himalayan sea salt. SPECIAL ADDITION: The zest and juice of one lemon. Looking for a bit more texture? Consider adding chopped raw nuts or seeds. Preheat your oven to 350 degrees. Separately combine all of the dry ingredients and all of the wet ingredients. Pour the wet into the dry and mix with a wooden spoon. 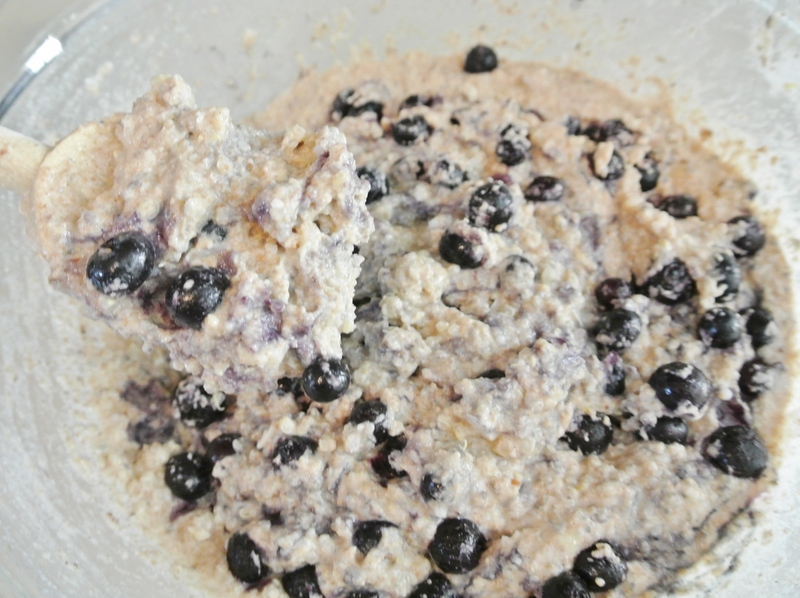 The batter will be thick and lumpy, but you can always add more plant milk if it seems too dry or dough-like. Spoon the batter into a lined cupcake pan and bake for 25-27 minutes. Use the toothpick test! Store in the fridge for up to two weeks. Welcome to blogging! So proud of you. These look amazing and I can’t wait to eat some! Thank you for all of your help in getting it started! 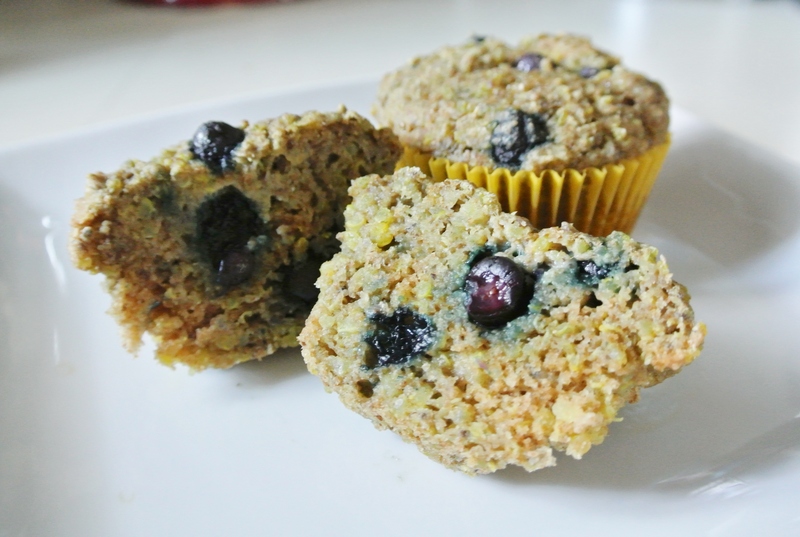 And you will love these muffins. 🙂 Nolan will be excited to have breakfast with his aunt! Thanks, Arielle! Absolutely. I have lots to learn. My sister is a more seasoned blogger than I. She writes a lifestyle blog at 100tacks.com. You should check it out!